Stuck in an office? 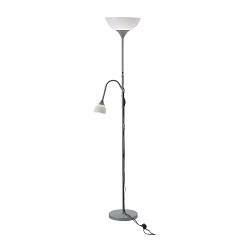 Me too, and I don't seem to be leaving in the next few months, so I finally bit the bullet and had the company buy me a $14.99 Ikea floor lamp, as the three rows of florescent overheads were about to drive me out the window. The pigeons hanging out on the church roof next door were having a much better time in the sun than I was in my windowless office/converted library/conference room. Which has inspired a little hanging of random pieces of art from a recent trip to the hometown. Every time I go home, I always find little goodies from the past and bring them back with me only when there is need. This time, I brought back a strange and small graphic arts picture I scanned, printed and mounted while at my first internship at the ad agency, Wise Advertising, in Cleveland. It's of an intriguing glass wine jug and a spilling glass of red wine, two things I would later enjoy very much in Italy, and then again to draw in college art classes. This has inspired a quick survey of wall art available at Target and Ikea. We could probably find better stuff via indie designers, but for now, this is quick and dirty. Shall we? Use this cute tin mirror (10"x10") to check your lipstick before you leave for somewhere, and it's only $12.99. 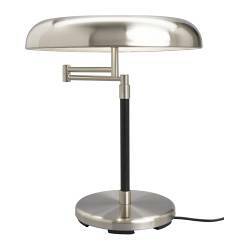 This is the floor lamp I got, and am quite happy with. PS: For the Ohio State fans, we have Maurice Clarett framed on the bedroom wall, making the winning touchdown in the Fiesta Bowel (David doesn't really have a home office, so I've allowed it in the bedroom). Well, Maurice is too much of a criminal now, and is coming down!